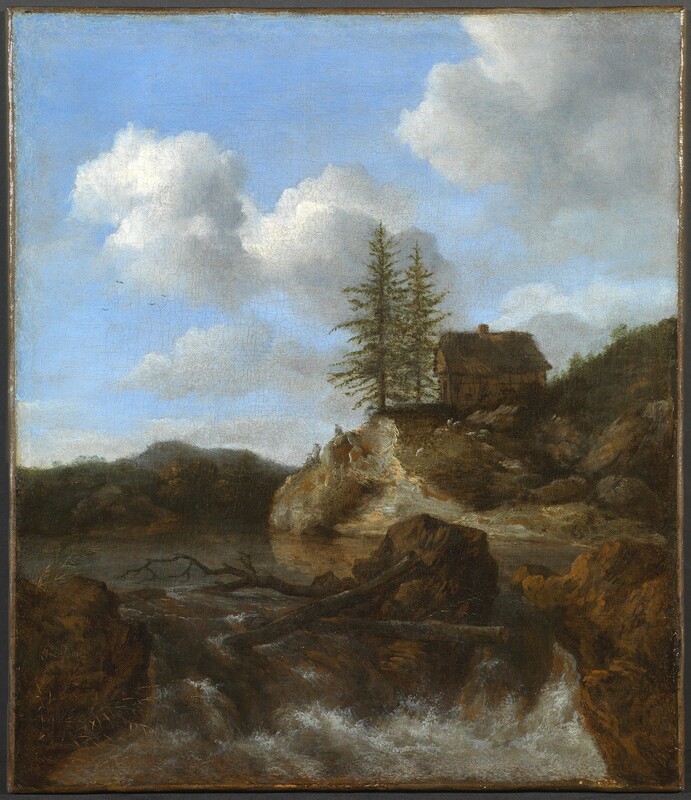 Mr.Frits Duparc , ex-curator of the Mauritshuis, The Hague, has kindly endorsed the authorship of Jacob van Ruisdael, and states that the signature appears to be authentic. Jacob van Ruisdael was undoubtedly the great poet of the Dutch seventeenth century landscape and its most accomplished interpreter. His landscapes go beyond the celebration of Dutch scenery and touch a profound note that responds to Rembrandt’s searching portraiture. After training in Haarlem under his father, also a landscape painter Isaac van Ruisdael, and his uncle, the renowned landscapist Salomon van Ruisdael, Jacob Isaackzoon, as he became known, focused on meticulously executed woodland scenes with dense foliage and in a limited format. In the early 1650’s he visited the south east of The Netherlands along the German border with his colleague Nicolaes Berchem, where he developed a more monumental style inspired by the great castle of Bentheim. Exaggerating its position crowning a modest hill, Ruisdael found a powerful new idiom with which to depict his favoured themes of forest glades, giant copses and even the soaring and emotionally charged cloudscapes, which were to have such a profound influence on Constable. Similar views of waterfalls from this period can be seen in the Herzog Anton-Ulrich Museum, Brunswick, and the Rijksmuseum, Amsterdam. I am writing to enquire about "A Scandinavian Landscape with a cataract in the foreground and a cottage on a promontory beyond"